N.E.R.O. invites players to a world of obscurity, but is it an invitation worth accepting? We are living in a unique time, a renaissance of gaming if you will. 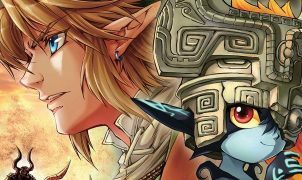 There are more titles being exhibited as works of art now than ever before: Journey, Ico, Child of Light, The Unfinished Swan, etc. Sure, action-packed, gun-toting games have their place on our shelf and serve an enjoyable purpose, yet there is something special about discovering an artistic gem hidden in the oversaturated market that is today’s video game industry. 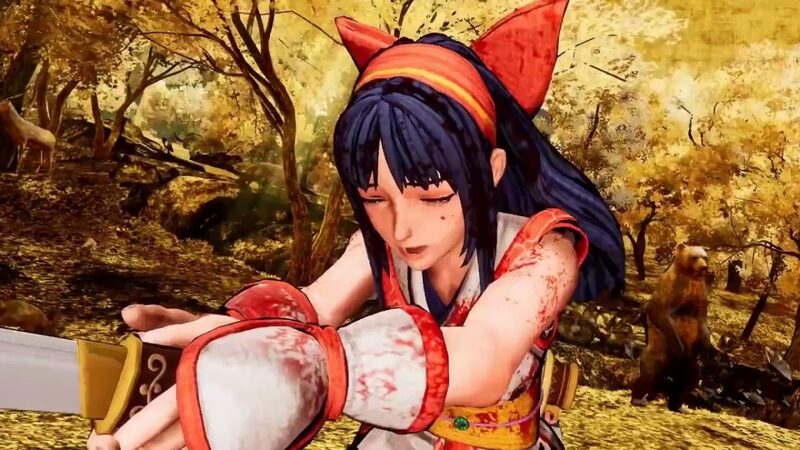 Don’t get me wrong, I believe that most video games should be considered a valid form of art, along with television and movies, but some developers go that extra mile, jumping into the artistic pool with both feet. 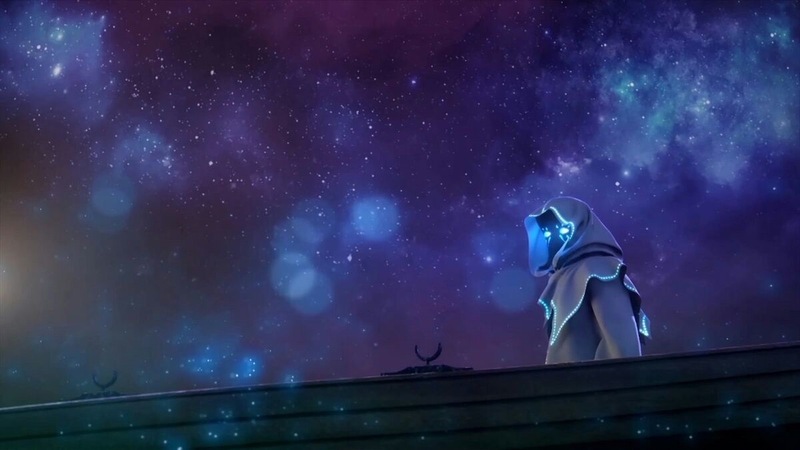 This is exactly what developer Storm in a Teacup attempts to do with N.E.R.O: Nothing Ever Remains Obscure, and, in part, they achieved their goal. 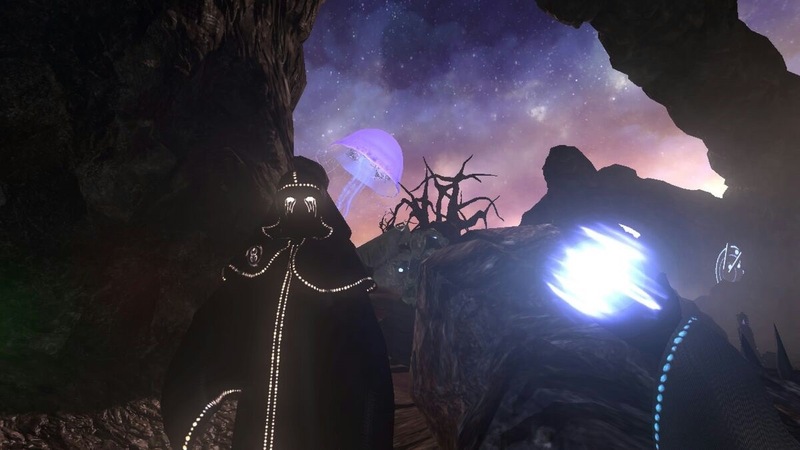 After a lengthy wait, PS4 owners can now experience N.E.R.O’s outlandish, Alice in Wonderland style realm. This game is driven forward entirety through its distinctive visuals and narrative, the gameplay feels completely secondary. After a strange CGI cut scene, you assume the role of a small hooded figure named—you guessed it—Nero. We see the world through his glowing eyes as he investigates a long lost cave, once used by pirates to store their riches. What lies beyond that cave, however, gleams brighter than any treasure. The game’s four chapters can, at times, appear stunning, although not quite in the traditional sense—in fact some may see quite the opposite here. A quick observation of surrounding textures, such as tree trunks and boulders can look flat and are often recycled throughout the map. These underdeveloped objects can often be seen appearing out of thin air in the weak draw distance, not something one would expect to see with the current generation of consoles. Sill, the aforementioned issues do not take anything away from what is still a fantastic looking adventure. N.E.R.O manages to pull off a rare feat, looking good in spite of its somewhat mediocre graphics. It does this through its use of lighting. The dark world is ignited by a pallet of extraordinary colors: leaves glow with pleasing blue hues, gigantic mushrooms stand tall under a starry sky, large orange bugs wiggle lazily over rocks, and flying jellyfish encompass the screen as they soar overhead. These sights alone would mesmerize any gamer, yet the game’s awe-inspiring appearance is escorted by an ear pleasing score, which helps to set an elegant tone. And while this picturesque biosphere is quite linear, it never feels like it. The remarkable colorings, flowing waterfalls, dense foliage, magical fauna, and colossal structures expand into the night, giving players a faux sense of freedom. The control scheme is a stark contrast to the game’s visuals. Gameplay is extremely minimalistic. Push on the left control stick to walk and hold the R1 button to run. Players are afforded a few new abilities over the course of the game, like the capacity to cast a sphere of blue light from the protagonist’s hand, and the power to command a companion at will. This tall fellow trails your every move until you direct him to a specific location, much like Lara Croft’s butler in Tomb Raider two, if you can remember that far back—unfortunately there are no freezers to lock this guy in. The aforementioned skills are used to solve puzzles, N.E.R.O’s main and pretty much only gameplay element. Even when sprinting, the game can feel slow and even sluggish. Still, chugging along at a leisurely pace allows your eyes to intake the environment’s majesty and your ears to appreciate the unfolding story. 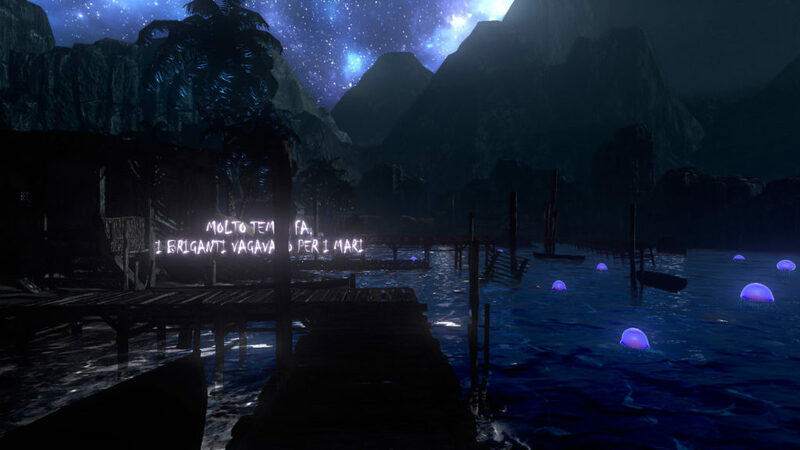 The narrative begins innocently enough: a storyteller talks you through the majority of the experience while floating neon messages provide additional background information on the locations and the tale itself. As the game advances you will soon discover that nothing is what seems. Despite its ethereal beauty, there is a somewhat eerie aura creeping up on you. It’s not quite horror, but it is unnerving nevertheless. This feeling grows as you proceed further into the dreamscape and solve its many puzzles. These enigmas vary in difficulty, but none are too problematic, save for a few notable exceptions. They are somewhat finicky, though. Sometimes there are subtle hints nearby, while at other times the puzzles don’t seem to have any rhyme or reason behind them—you may find yourself just standing on different mechanisms until the problem is resolved. The puzzles are not the greatest mystery, no this conundrum comes in the form of the game’s glitches, and why so many fell through the cracks and found their way into the final product. I encountered a variety of bugs and anomalies throughout my play through, ranging from the very small to the very large. My character would suddenly be flung 30 feet into the air, or abruptly become stuck within the environment, forcing me to reload the game. The most prevalent glitch resulted in missing story components. Upon solving a challenge, or simply when exploring, you will gain small nuggets of story information from the narrator. However, I encountered an issue that caused the narrator to simply stop reciting his lines. I would solve a puzzle and in return I would be greeted by silence. This would continue for a time until the voice miraculously returned, before, once again, growing quiet. The story can already be hard enough to decipher without a glitch causing sections of it to vanish. N.E.R.O provided me with a unique experience. I constantly found myself yearning for discovery, the imaginings just beyond the next puzzle, the unseen beauties awaiting my viewing pleasure. The eerie calm drifting within its dreamlike state can put you in a gaming trance, and its story could well be an emotional or even spiritual one for some. Nevertheless, the puzzles can become repetitive and tiresome after a short time, removing some of the initial wonder. Its worst problem is the near game-breaking bugs that plagued my experience. This can, of course, be fixed with an update, but until then those glitches keeps this game from becoming the great work of art it could be. Dean Moses was born in England in February of 1991. At the age of nineteen he moved to New York City, where he hoped to fulfill two of his longtime dreams: marry the love of his life and become an author. For the past five years he has written for newspapers, including the New York Amsterdam News and the Spring Creek Sun, as well as transcribed for the New York Times’ Lens Blog. He is the author of A Stalled Ox from 1888's Black Hill Press. Dean currently resides in Queens, New York with his wife and two cats.